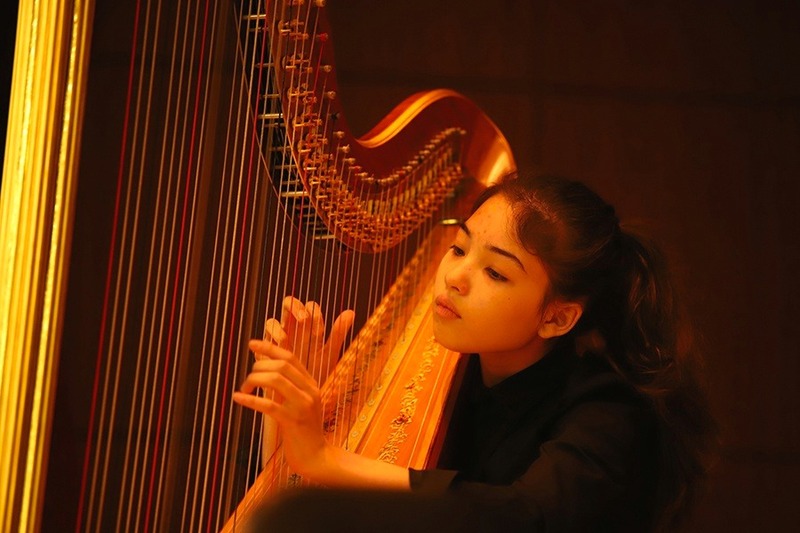 YISS hosted middle school musicians from 11 international schools in South Korea on Tuesday, January 29 for the KIMEA Middle School Honor Orchestra Festival. These students were selected by their schools to participate in the festival. Harpists Janice H. (8) and Lynn K. (8) wowed the visiting students with their artistry as they performed for the Opening Ceremony. 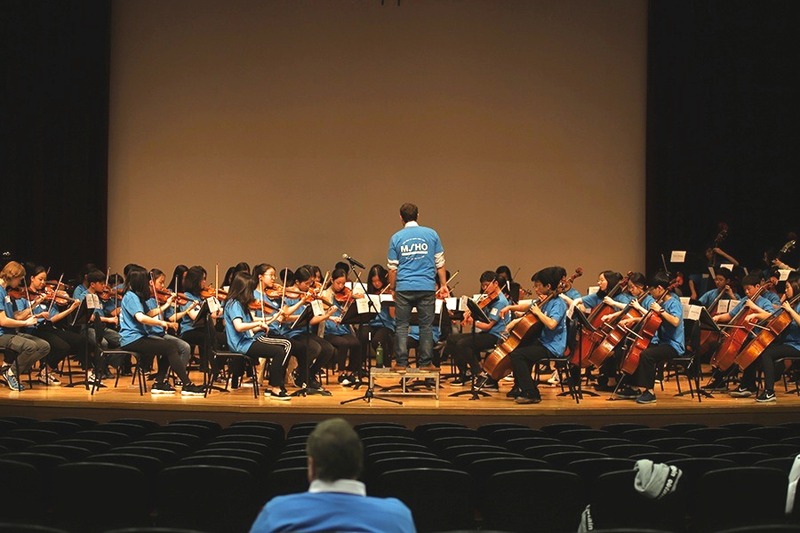 The two orchestras rehearsed most of the day with guest conductors and presented an exciting performance for YISS middle school students, parents, and the public. 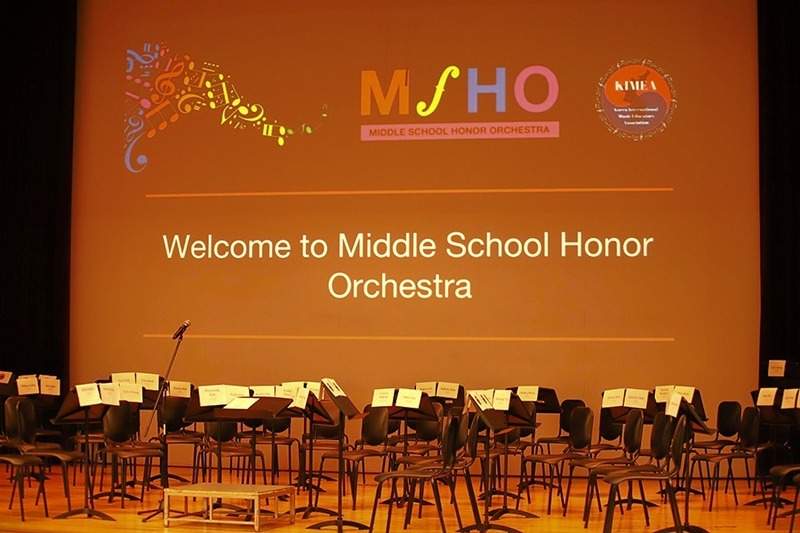 YISS was proud to have the following 16 middle school orchestra students participate in the festival: Anna F. (8), Erin K. (8), Grace K. (8), Harene K. (8), Joanna K. (8), Hamin L. (8), Hannah L. (8), Andrew P. (8), Daniel C. (7), Jimin H. (7), Bonette K. (7), Faith K. (7), Tiffany K. (7), Chloe L. (7), Emily S. (7), and Hannah P. (6).